Vitrum Glass Group is committed to investing in new technologies and glass fabrication solutions. 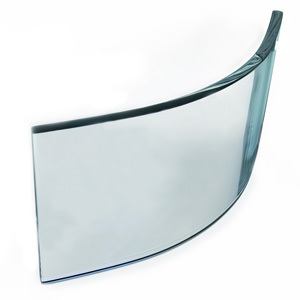 With the recent addition of a bent tempering oven Vitrum is able to offer bent and curved glass. This additional product offering compliments Vitrum’s extensive selection of fabricated glass products to ensure Vitrum is your one-stop glass shop. Available in sizes up to 130″ wide by 96 high” Vitrum is able to supply bent glass (also known as curved glass) in a variety of glass types, thicknesses and sizes – all with short cycle lead times to keep your project on-time. Bent or curved glass is a great choice for structural glass applications and can be combined with PVB or SGP lamination for additional strength and security. Other common applications include canopies, railings, insulated glass units and interior partitions. Explore the new design opportunities bent glass offers and learn more here.